If you’re tired of the same old vehicles with the same features, it’s time to consider something different. The new Grand Cherokee is designed to be your partner on all of your adventures. From a simple trek to the grocery store to a jaunt up a mountain, this truck is designed to provide you with some incredible versatility and capability. Get ready to have your mind blown with this exceptionally capable vehicle that is designed to put you back in the driver’s seat. Visit our Denver Area dealership to find great offers on the 2019 Jeep Grand Cherokee. Contact Pollard Jeep serving greater Denver area residents to find your next Jeep. When it comes to exterior features, this vehicle is designed with a host of options that will have you craving more. Come down and explore the 17-inch aluminum wheels, the 18-inch aluminum wheels, or even the 20-inch black satin aluminum wheels. For other wheel options, just give us a call. We also have forged polished and satin carbon split five-spoke wheels for you to check out. Additionally, the vehicle comes with automatic high beam headlamp control, Bi-Xenon HID headlamps and a host of other options to ensure you get the best vehicle options possible. Come down and explore everything we have to offer to get an amazing deal on your next vehicle purchase. Explore the 2019 Jeep Grand Cherokee near Denver at our dealership and receive great service and support. This vehicle comes with a host of options that are designed to provide you with an exceptional level of comfort and convenience. Get to know the many different interior color options so that you can choose the best option for your situation. You’ll also love the amazing cloth bucket seats that are designed to provide you with an exceptional level of control and reliability. 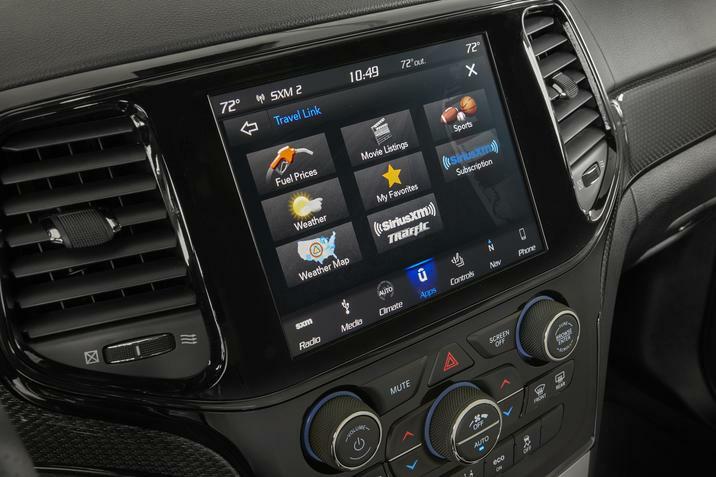 This vehicle is designed to provide you with smart features, including Android Auto and Apple CarPlay. Additionally, you’ll be able to choose between cloth and leather seating options, power four-way driver lumbar adjust and a host of other features that are designed to thrill and entice you. Explore the 2019 Jeep Grand Cherokee near Denver at our dealership and receive great service and support. There are many mechanical options available to help you get the best driving experience. Consider the front suspension skid plate and fuel tank skid plate shield options that will help to protect vital components. The vehicle also comes with the option of getting a terrain system that allows you to automatically adjust based on the kind of terrain you encounter. Additionally, you’ll have some amazing options thanks to the smart suspension system and incredible water fording capabilities. 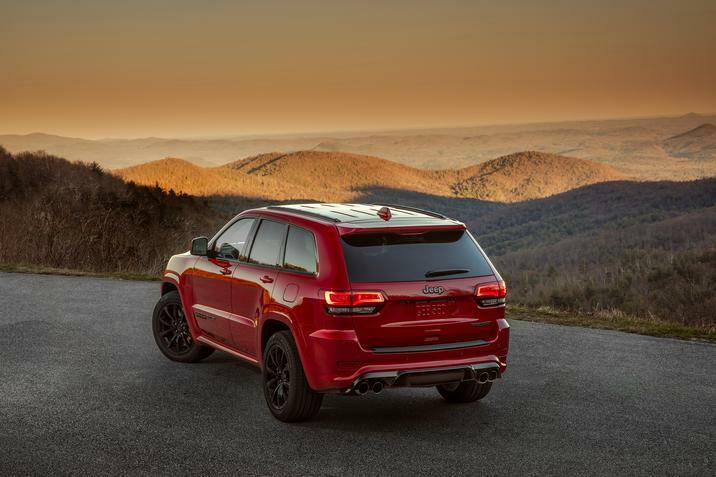 Explore the 2019 Jeep Grand Cherokee near Denver at our dealership and receive great service and support. Visit our Denver Area dealership to find great offers on the 2019 Jeep Grand Cherokee. Contact Pollard Jeep serving greater Denver area residents to find your next Jeep. The trim level you choose will largely dictate the engine options that are available to you. There is a 3-liter V6 EcoDiesel engine, a 3.6-liter V6 24-Valve VVT engine and a 5.7-liter HEMI V8 engine available. If you want the ultimate in power, consider the 6.2-liter V8 Supercharged engine or the SRT 6.4-liter HEMI V8 engine to get you moving in style. There is also a stop-start dual battery system to ensure you get a reliable and enjoyable drive. 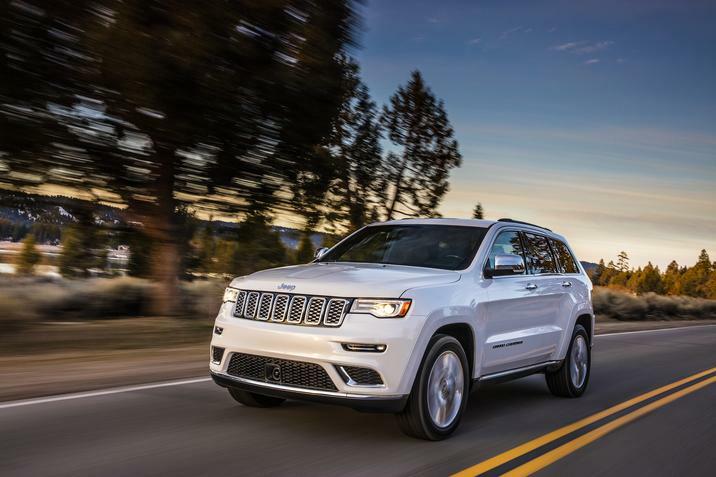 Visit our Denver Area dealership to find great offers on the 2019 Jeep Grand Cherokee. Contact Pollard Jeep serving greater Denver area residents to find your next Jeep. When it comes to safety and security, you’re protected with the new Grand Cherokee. This vehicle offers an outstanding level of service and reliability and you’ll love the cruise control system that can automatically adapt based on changing road conditions. You’ll also love the electronic stability control, enhanced accident response system and the smart full-speed collision system with active braking technology. Come down and see all that we have to offer you and take home an amazing new vehicle today. Explore the 2019 Jeep Grand Cherokee near Denver at our dealership and receive great service and support. Give our dealership a call to find out how you can take home this incredible vehicle today. We want you to contact us so that you can schedule a test drive and get an oustanding deal on your next vehicle. Come visit us to find out the latest that we have to offer and discover why our vehicles are ranked so highly. 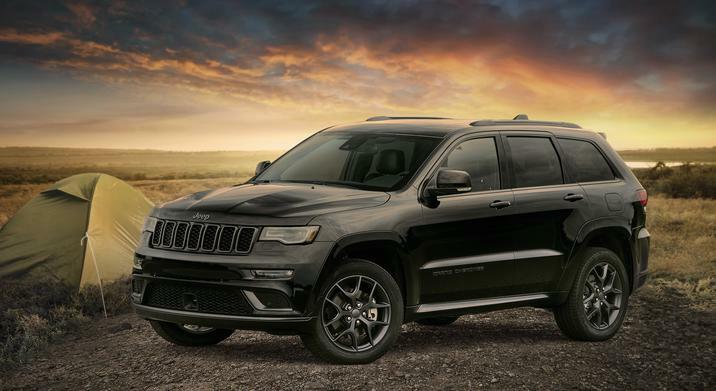 Visit our Denver Area dealership to find great offers on the 2019 Jeep Grand Cherokee. 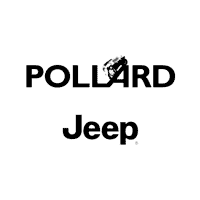 Contact Pollard Jeep serving greater Denver area residents to find your next Jeep.